What is the market opportunity you are chasing? The Indian retail market is a $630-billion opportunity, accounting for about 40% of the gross domestic product and hires 10-15% of the country’s population, indirectly and directly. We are essentially a country of shopkeepers from our viewpoint. While e-commerce and consumer commerce will continue to grow, the traditional retailers are here to stay. Likewise, the retail distribution market in India alone represents a $15-billion market opportunity. Indian e-commerce is decades old, with billions of dollars already [invested in it]. However, the fact remains that India is a country of 1.2 billion people with 500 million having access to the Internet. Less than 20 million transact online. Even the purchasing power of these online shoppers is perhaps significantly lower than their counterparts in the US and China. Where do you see yourself in this space? We are essentially trying to build a retail distribution platform. Currently, 99% of our business comes from the retail distribution of mobile handsets and accessories. While we may be categorised as a B2B e-commerce player, the sector is, however, fairly nuanced. It’s a large market and different players try different approaches. We operate in a space that helps manufacturers sell their products. We indeed have a number of players trying out different things. Some of them follow an inventory-led approach, while we are inventory agnostic and asset-light. The sector witnessed a few setbacks. We saw Tolexo shutting down and Industrybuying downsizing last year. Your thoughts on these developments. B2B e-commerce is evidently one of the largest opportunities in India. We are a country of micro-small businesses. Increasingly, more and more startups, as well as large companies, are beginning to address this opportunity. However, being a unique market with little global precedent to emulate, most companies are figuring out the right go-to market strategies and financial models. The industry will take some time to mature and companies which are likely to have the patience, perseverance and problem-solving appetite for it will eventually emerge as leaders. What is the visibility on profitability? Given the nature of the business, operational profitability is significantly easier to achieve in this space, provided the go-to market strategy is sound. By virtue of the business model, our average order value is somewhere between Rs 18,000 and Rs 20,000, allowing recovery of acquisition costs earlier than most other businesses. We hit operational profitability in Bangalore and Hyderabad in November, in less than 18 months of our launch in these cities. Consequently, our other markets will also probably turn profitable in a couple of quarters. How about venturing into newer categories? In October last year, we launched an extensive pilot for auto components, our next planned foray, in Bangalore. Over the next five years, we plan to launch five more new sectors and be present in 84 cities across the country. The business-to-business retail industry is far more verticalised as the customer sets are more discrete. Hence, it is not easy to launch a new category, unlike in business-to-consumer retail. Launching a new category in B2B retail is also followed by customisation of the tech platform, ramping up backend machine learning capabilities, and modifications to logistics management systems as well. Our next category launch will probably take about another year. Do you maintain your own warehouses? We have intra-city hubs in the markets we operate. We don't necessarily stock inventory, but the products that get picked up from the supplier lands there, from where segregation and last-mile delivery follows. With the launch of the auto components category, where the SKUs are larger in size and volume, we will have to augment the capacity. However, this would still mean that we don’t need warehouses with the same size and scale as that required by large B2C e-commerce players. How large is the team at Shotang? 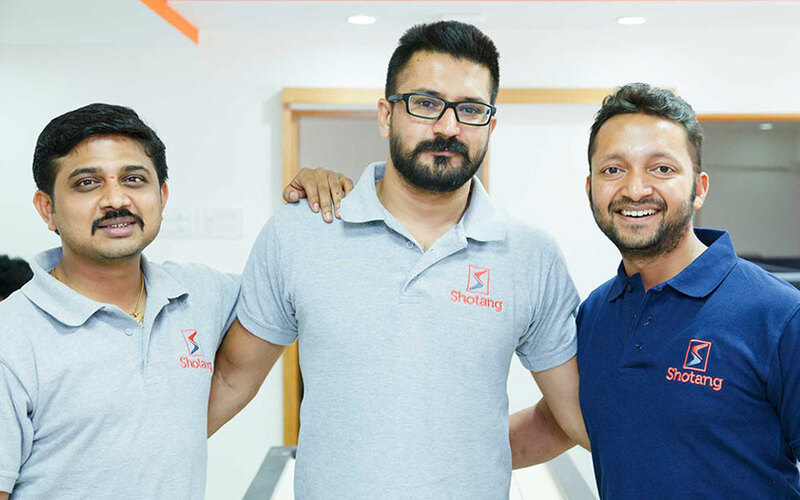 We are about 300 members currently and have a physical presence in all the seven cities, as we have our own logistics team, which also handles the last-mile logistics to the end customer. We are perhaps the only player in this space that offers delivery services to the retailer within 24 hours.